During the final stop of the 2016 Georgia Peanut Tour, attendees enjoyed lunch at the University of Georgia Tifton Campus Conference Center. During lunch, they received an overview of the Georgia Peanut Commission from GPC staff member, Don Koehler and Jessie Bland, executive director and project coordinator, respectively. They also heard from representatives with Kelley Manufacturing Co. and Lasseter Equipment Group about some of the primary types of equipment peanut growers use on the farm. The KMC Model 3386 Six-RowCombine includes a vine spreader and unload on the go system. 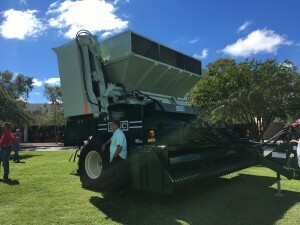 This combine provides continuous harvesting by off-loading peanuts into a dump cart without stopping. Generally speaking, this option improves harvesting efficiency by approximately 20 percent. The list this price for this piece of equipment is $179,557. 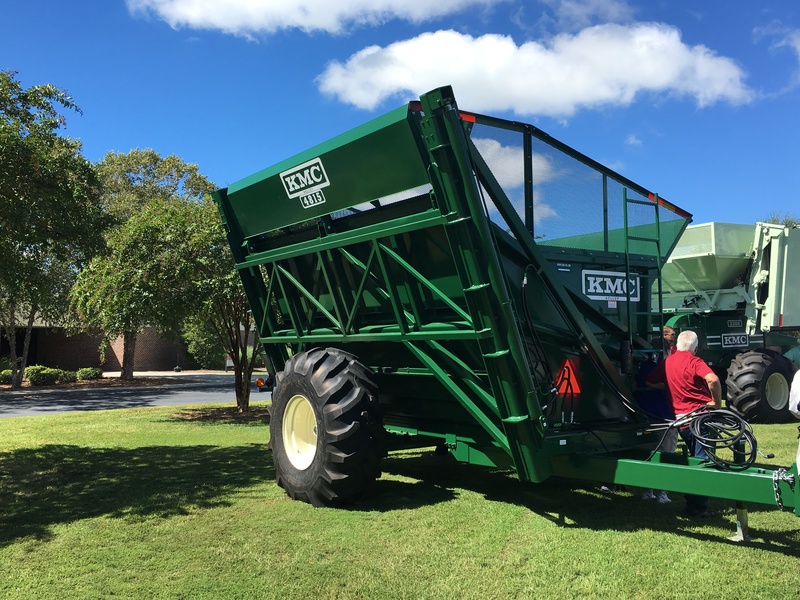 To learn more about the KMC combines, click HERE. 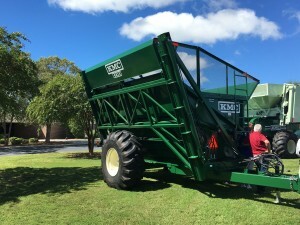 The KMC Model 4815 Dump Cart is tractor drawn and used for the purpose of shuttling peanuts from the combine to the transport trailer. The dump cart improves the harvesting efficiency by eliminating the necessity for the combine to interrupt harvesting to carry to the transport trailer for off-loading. This particular model has a 750 cubic feet capacity and is equipped with extra cleaning screens on the dump side and bottom of the cart. KMC also provides 950 cubic feet models. All models can be used with numerous other commodities with the addition of optional panels. The list price for this piece of equipment is $46,672. To learn more about the KMC dump cart, click HERE. The John Deere 4730 is a popular sprayer in the farming community. 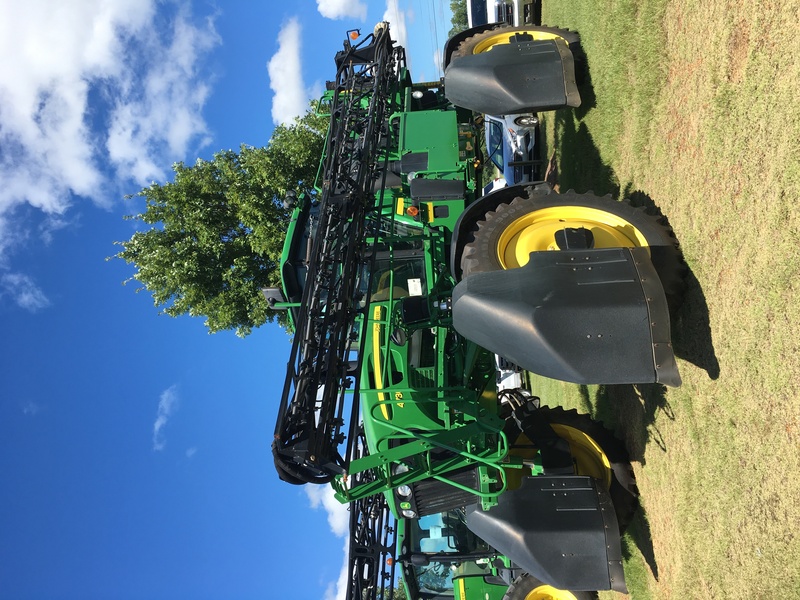 Because of its design, farmers are able to spray crops at an appropriate speed, while maintaining comfort and ease of use. 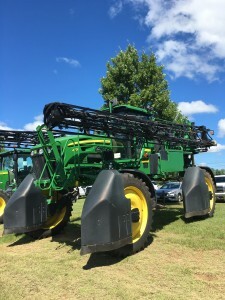 The sprayer’s boom is configured to 80 foot, 90 foot and 100 foot adjustments to allow the farmer to choose the best option that matches their field. Most farmers purchase this type of equipment in used condition. The average price for this specific type of equipment (used) is $195,000 for a 2013 model. 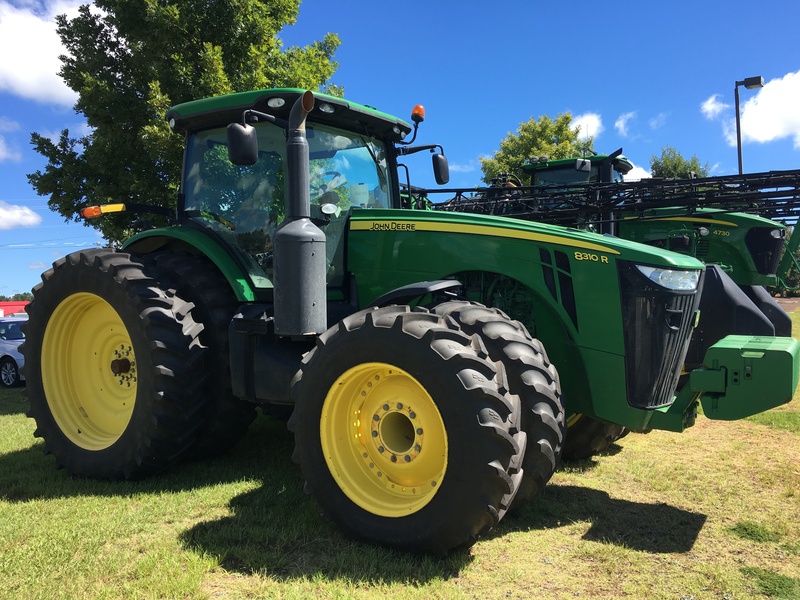 To learn more the John Deere 4730, click HERE. The John Deere 8310R tractor is one designed specifically for row crops and offers performance and reliability. Its design allows farmers to operate in the field more comfortably and efficiently thanks to the advanced technology and controls offered. Some of the more advance features of the tractor allow for more precise work in the field and improved uptime. The average price for this specific type of equipment (used) is $197,500 for a 2013 model. To learn more about the John Deere 8310R, click HERE. To conclude the tour, attendees were shown a brief slideshow highlighting the 30 years of the Georgia Peanut Tour. Thank you to all of the 2016 sponsors and attendees – we look forward to seeing you in 2017!